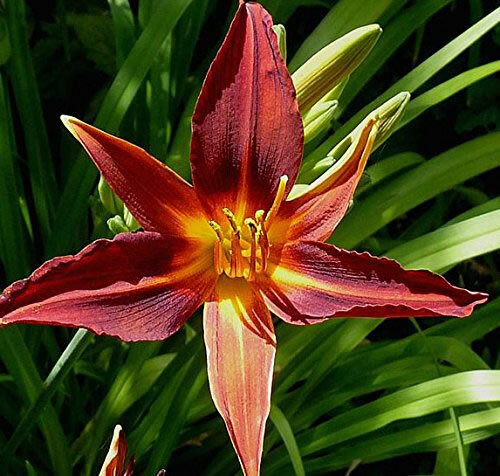 Daylily. 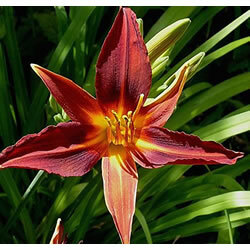 A clump-forming perennial with handsome, sword-shaped, arching leaves. Large brick red flowers in summer. Max Height 70cm. Max Spread 60cm. Flowers June to August. Full sun. Hardy. Water thoroughly before planting.